Visiting Wellington, then theres lots to do, and you`ll be spoilt for quality accomadation in the nearby villages. The team at The Big House Company bring jointly more than thirty years of experience in business management and hospitality, and have a number of local properties suitable for family and corporate gatherings. Staying at a Big House? dont forget to order our Breads, Cheeses, and Cold Cuts, not to mention our great value Wines and Champagnes. We also have a great range of local Beers and Ciders for you to enjoy at your Big House party! Looking for accommadation in Wellington, Somerset or the UK? The Information Britain site has a wide selection of Bed and Breakfasts and Hotels. There is also a list of retailers with good info guides and historical information. A great resource when planning a trip. The magic of Cothay lies not only in its great age but also in the timeless atmosphere which surrounds it, for Cothay is seemingly beyond time. 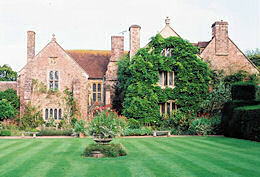 Click here to visit the Cothay Manor. A "must see" for all train buffs, and its a wonderful way to see our lovely countryside, even if you have no interest in trains! Want to get onto Exmoor? Then visit the Exmoor National Park website to plan your trip.